2 Yards of fabric or 36 Sq.Ft. of leather. All chairs designed by Jan Rosol are unique pieces custom made by master craftsmen from premium kiln dried hardwoods. 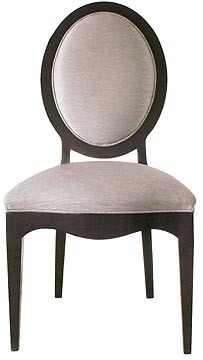 They are available in various finishes and can be upholstered in fabrics, vinyl or leather. Each piece of Jan Rosol furniture is an original, one of a kind object.